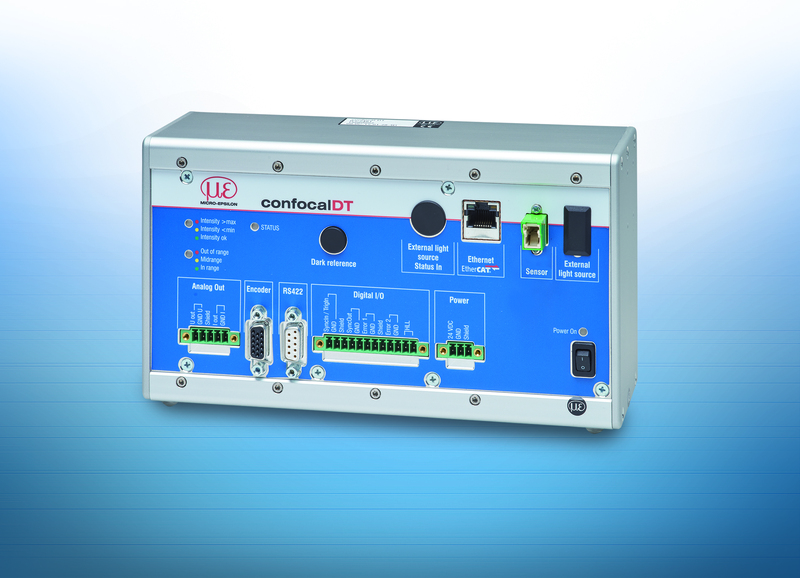 The new confocalDT IFC2461 extends the confocal chromatic controller range. It stands out due to higher measuring rates up to 25kHz. Particularly with dark targets or when measuring the thickness of transparent targets, the advantages of the enhanced, optical components become clear. Enhanced, optical components, more powerful measurement characteristics, no external light source – in short, these are the three key attributes that accurately describe the new confocalDT IFC2461 confocal chromatic controller. The range of controllers for confocal sensors has been extended by a further model. 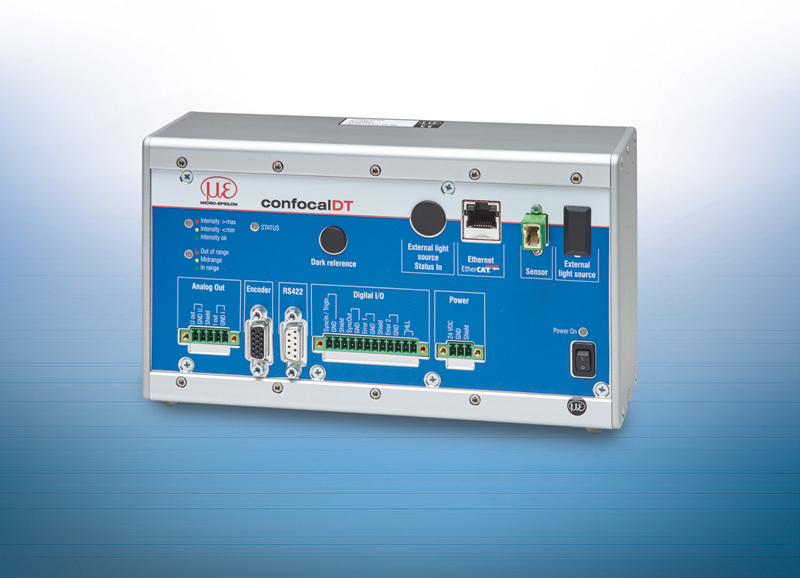 Not only does the confocalDT IFC2461 provide higher measuring rates up to 25kHz for faster measurements and control of dynamic processes, but also delivers stable measurement results. Compared with a Xenon light source, the integrated light source is more durable, resulting in reduced maintenance and purchase costs. An active exposure time regulation feature allows different surface types to be measured. Two different controller versions are available: the standard version and a multi-peak version. The latter provides six peaks, enabling one-sided thickness measurement of up to five layers. The IFC2461 is primarily used in the production of glass, bottles and displays, or when high speed inline processes are involved.